The Bishop area has offered the natural beauty and an intense connection with the wild outdoors that has attracted countless amateur and professional photographers for generations. From adventure filled activities to scenic wildlife watching, the Bishop area brings the serene beauty of the Eastern Sierra to you. Photography is a passion for many in the Eastern Sierra. You can also see the work of local photographers while visiting the Chamber of Commerce Visitor Center. So be sure to stop in and get a glimpse of what else awaits. >>>Join our Art Matters in Bishop Facebook page to enjoy all things related to the arts in the Eastern Sierra. Throughout Bishop there are a variety of large and small but all marvelous murals that depict the history and richness of the Bishop Area. We hope you take the tour of all the murals while you are visiting Bishop. Want more? Visit photographic and art galleries while you are in Bishop. 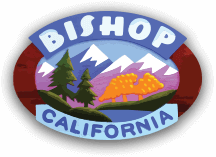 If you have questions before or during your visit, please stop by the Bishop Area Chamber of Commerce and Visitors Bureau located at the City park right on Main Street or call us at 760-873-8405. >>See this blog post about more galleries, music, theater, festivals and events that you don’t want to miss! !